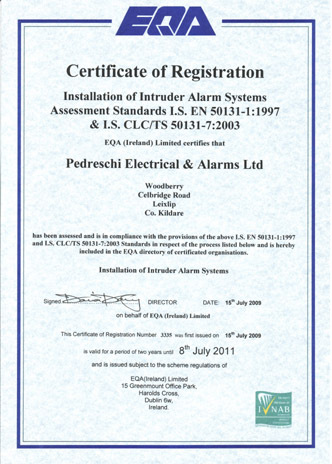 I mentioned yesterday that we are now certified to install intruder alarm systems and other electronic security systems, like access control systems and CCTV systems, but very few people are aware of the fact that this area is now covered by legislation. The Minister who enacted this was Mr. McDowell, it was at the time brought in to cover and licence the manned security area, door men and the like. It was then extended to cover the electronic area of the industry, regardless of the fact that electricians were trained in the installation and maintenance of the equipment there are also consequences for the client. 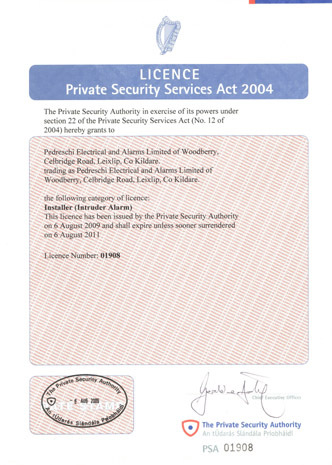 The client who has some electronic security systems installed is ment to check that the supplier/ installer is licenced to carry out this work. The downside is that the client is at risk of a fine and/or prosecution if they have not checked this regardless of the fact that it is not widely publicized. So now that you are aware of the fact…… pass it on. 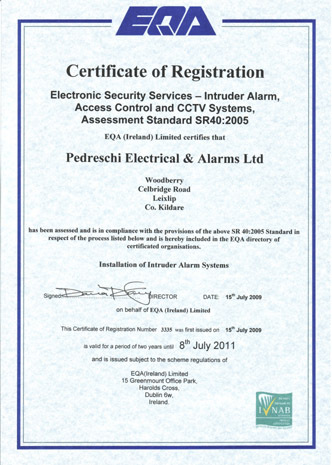 If you know of someone who is getting an alarm system installed let them know to ask the installer if they are licenced and ask to see proof.